This year with the looming centenary of the outbreak of World War 1 and the planning for commemorations of the centenary of Gallipoli next year, the Memorial is in clear view. At The Workshops Rail Museum, we have been working on research associated with some of the Workshops employees who went to the First World War – those very men whose names are listed on the monument. We have been looking into service records and workshops stories of individuals as well as trying to find photos and family stories to go with the names. 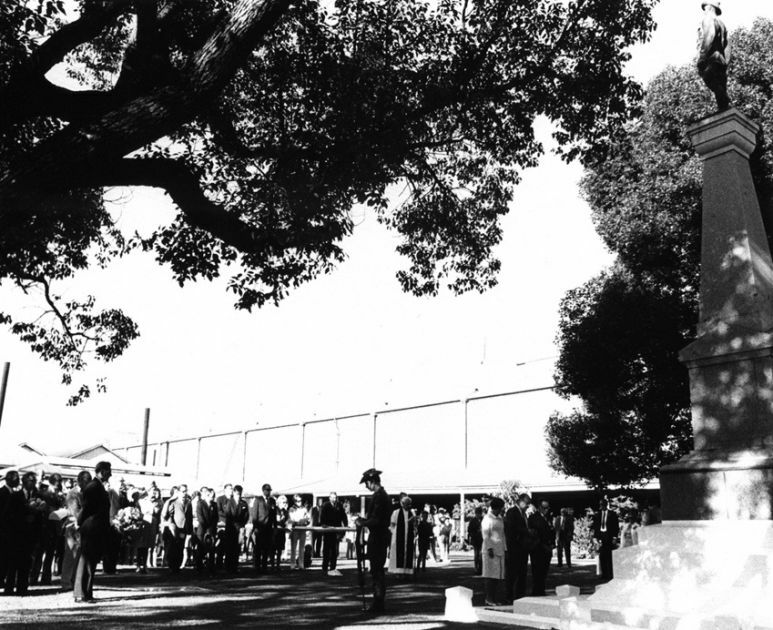 ANZAC Day Service at Ipswich Railway Workshops War Memorial c1972. Image from The Workshops Rail Museum / Queensland Rail collection. Recently we acquired the Bennett collection, as Rob Shiels discussed in his blog post in March. That acquisition and our research into Arthur Bennett’s time in the army and at the Workshops, together with newspaper articles about what the public feelings were around Queensland at that time has made fascinating reading. 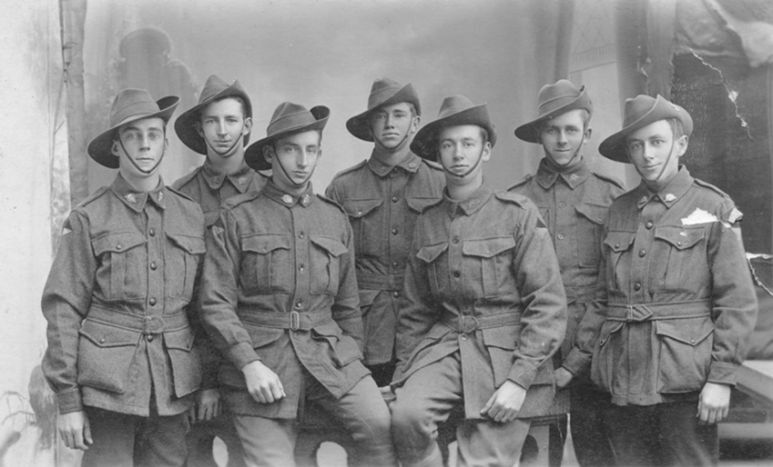 Seven apprentices and tradesmen from the Ipswich Railway Workshops’ Carriage Shop, just prior to embarkation, November 1917. Image form the Queensland Museum collection, donated by Hazel McDougall. A couple of years ago to mark ANZAC Day we posted a photo on Facebook of seven men, all from the same Workshop – the Carriage Shop – who enlisted together. These men individually had very different experiences of the war. They were sent far afield – some to England, others to the front in France and one to Egypt. Two were killed in combat and another injured, with five ultimately returning to Australia, four to resume their pre-war employment at the Ipswich Railway Workshops. In the course of this research, we have also found many men employed with the railways across Queensland who went to war. Henry Dalziel, VC – a locomotive fireman from Irvinebank who worked on the Cairns to Atherton railway – was one of these. He received a VC for his part in the battle of Hamel, were he was severely wounded. Others never returned home, their sacrifice marked on the Railway Honour Boards across the state. Today, when I look at the Memorial at the Workshops, the names are no longer a list of those who were willing to give their lives in war or even a mark of the contribution of the Workshops to the First World War. Instead person after person comes into focus through individual histories, their personal stories illuminated by their service record, a photograph in uniform or a glimpse at their working life. The Memorial has become the expression of individuals and their personal histories. Each name whispers of bravery, fatigue, injury, sacrifice and camaraderie at war, contrasting with the echoes of workplace banter and the ring of hammers, the Memorial a reminder of the very real experiences of these men and how their lives were altered by this war and its aftermath. 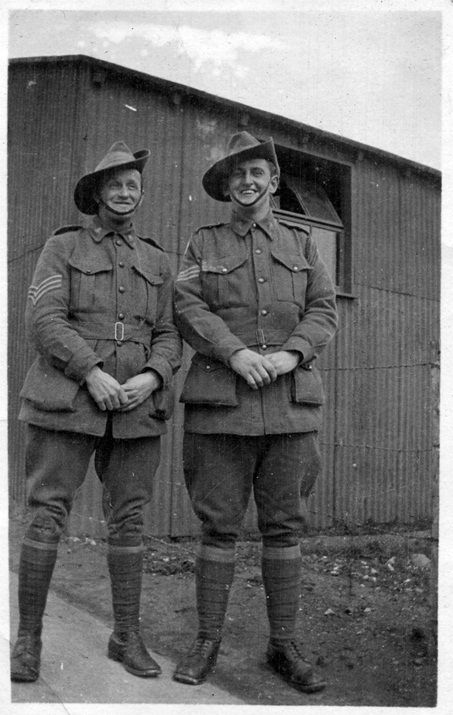 Arthur Bennett (on right) with fellow Non Commissioned Officer in Britain, photo from the Queensland Museum collection. 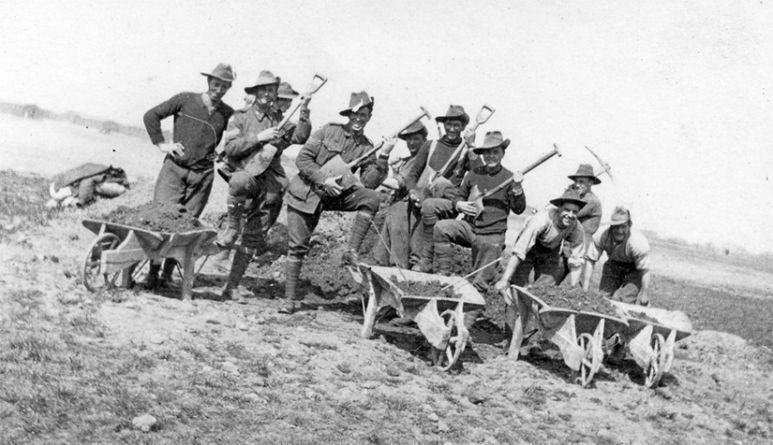 Australian soldiers on “Banjo parade”, c1916, Arthur Bennett second from left, photo from the Queensland Museum collection.